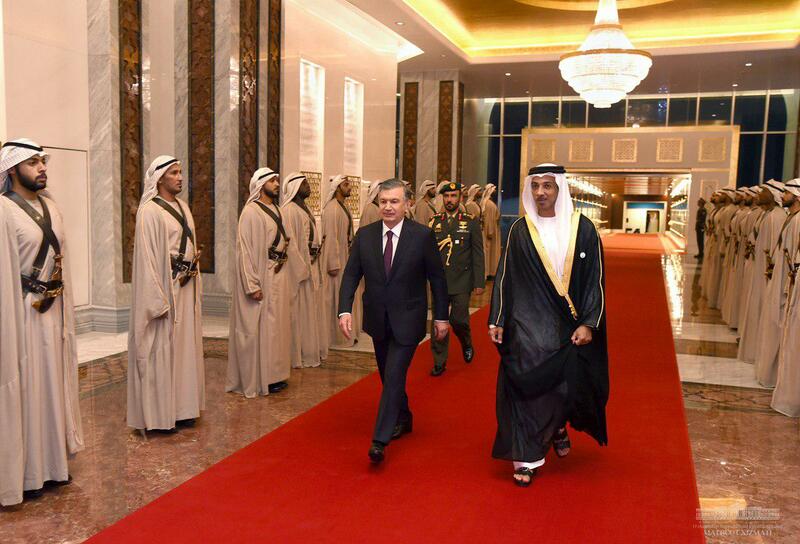 Shavkat Mirziyoyev was met at the Abu Dhabi International Airport by the Deputy Minister, Minister for Presidential Affairs of the UAE Sheikh Mansour bin Zayed Al Nahyan. Here at the airport, the President of Uzbekistan and the UAE Deputy Prime Minister held a brief conversation to discuss pressing issues in the bilateral cooperation that are included in the agenda of meetings at the highest level. Talks with the Crown Prince of Abu Dhabi, Deputy Supreme Commander of the UAE Armed Forces Sheikh Mohammed bin Zayed Al Nahyan are to take place tomorrow in Abu Dhabi.